Bring 5 quarts of water to a boil, add a dash of sea salt. 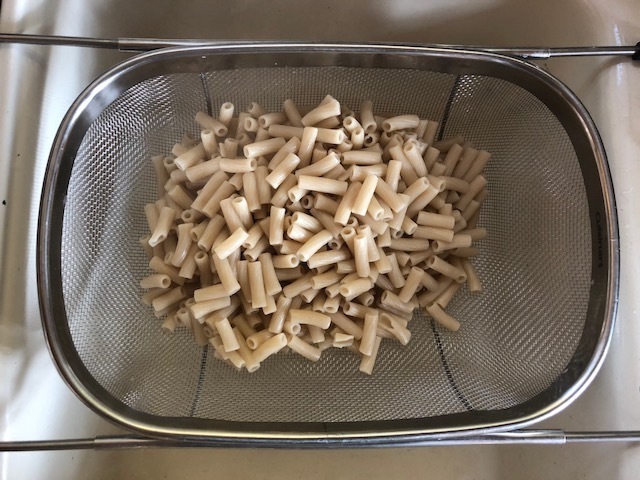 Drain macaroni in mesh strainer and rinse with cold water. 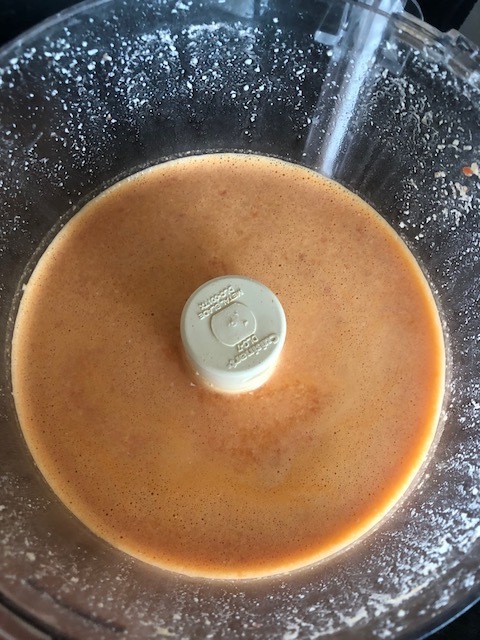 Combine all ingredients in a high-powered blender (I prefer Vitamix) and blend until smooth. Please Note: The sauce will be watery, which is ok as it will improve its consistency once it's cooked in the oven. 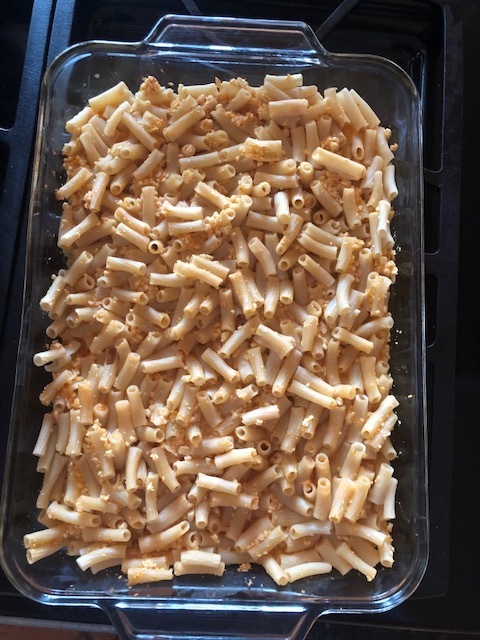 Place the cooked macaroni noodles in a 13x11 baking dish and pour the sauce over it. 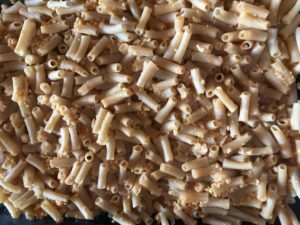 Please Note: Because we love butter, I also add about 4 TBL of organic unsalted butter, cut up into chunks, on the top of the casserole before baking!